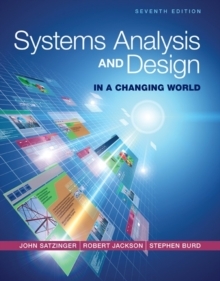 Reflecting the latest practices, trends, and developments from the field, SYSTEMS ANALYSIS AND DESIGN IN A CHANGING WORLD, 7E equips you with a solid foundation of the most important principles of systems analysis, systems design, project management, and new software development approaches. Using case driven techniques, the succinct 14-chapter book focuses on content that is key to your success in today's market. 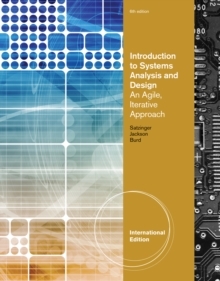 The book teaches both traditional (structured) and object-oriented (OO) approaches to systems analysis and design. It highlights use cases, use diagrams, and use case descriptions required for a modeling approach, while demonstrating their application to traditional, web development, object-oriented, and service-oriented architecture approaches. Content reflects Microsoft (R) Project 2013 Professional and Microsoft (R) Visio 2013.